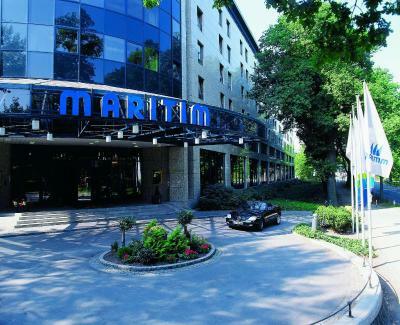 Lock in a great price for Maritim Hotel Bremen – rated 8 by recent guests! Perfect service. 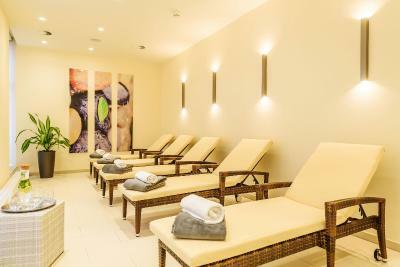 New SPA / fitness area. 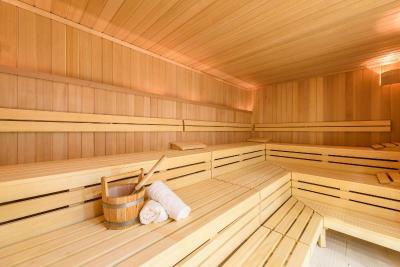 Sauna and swimming pool very comfortable. The room was spacious and the bathroom nice and clean. It was a quite manageable walking distance from the old center, where we were going for the Christmas markets. The hotel bar had a nice range of drinks. 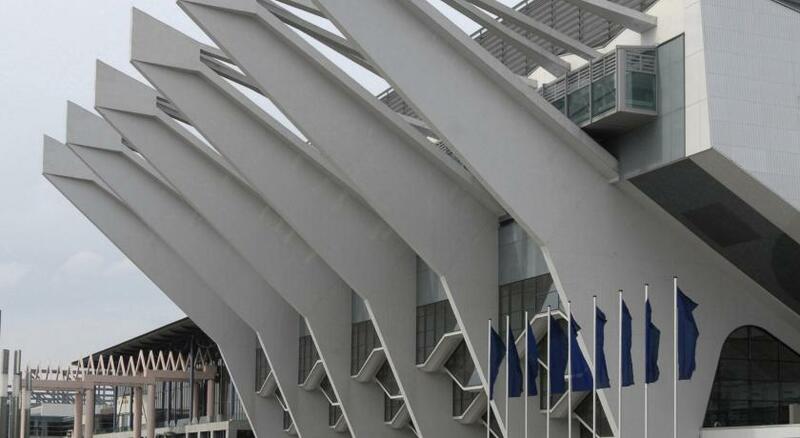 Great Location right behind the central train station. The rooms are big and clean. Its a proper European City Hotel. It was convenient to the old town tourist attractions. Great location for Conf Centre and Station. Easy walk to City Centre. 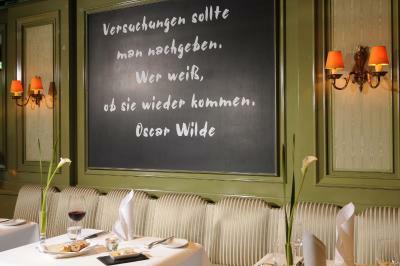 The staff were very helpful and friendly especially as we don't speak German. 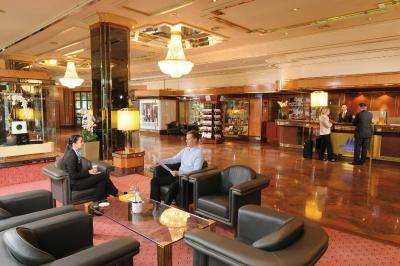 The location is ideal as meant could walk around the city and see everything and the hotel itself was a good standard. 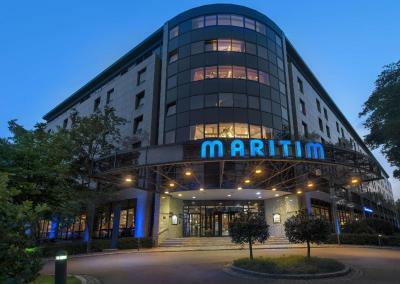 Maritim Hotel Bremen This rating is a reflection of how the property compares to the industry standard when it comes to price, facilities and services available. It's based on a self-evaluation by the property. Use this rating to help choose your stay! 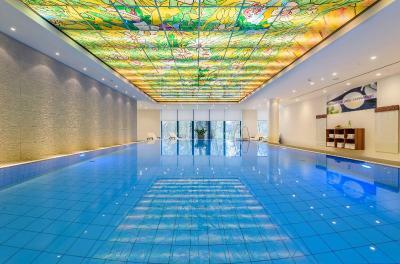 This Maritim hotel features elegant rooms and a spa with an indoor pool. 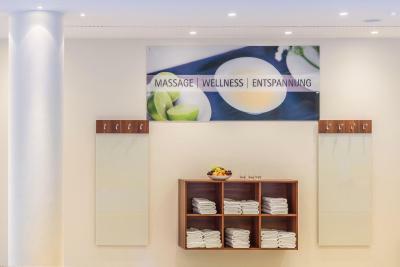 The 4-star-superior hotel is located next to a large park in central Bremen, and is close to all main tourist attractions in this Hanseatic city. 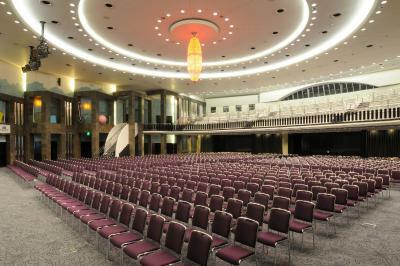 Every room at the Maritim Hotel Bremen has satellite TV channels, and a private bathroom. Free WiFi is available for overnight guests. The L’Echalote Restaurant serves international food and fine wines. 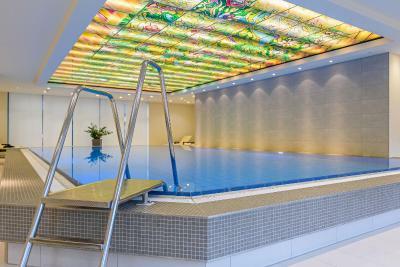 Guests enjoy use of the Maritim Bremen’s spa, with its indoor pool, Finnish sauna and modern fitness room. 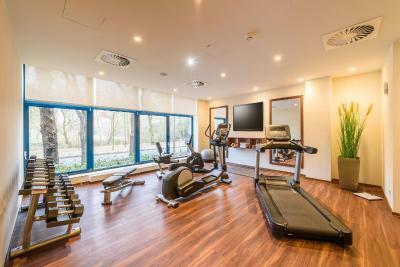 Guests can also hire bicycles at the hotel reception. In the evenings, exotic cocktails are available in the stylish cocktail bar. 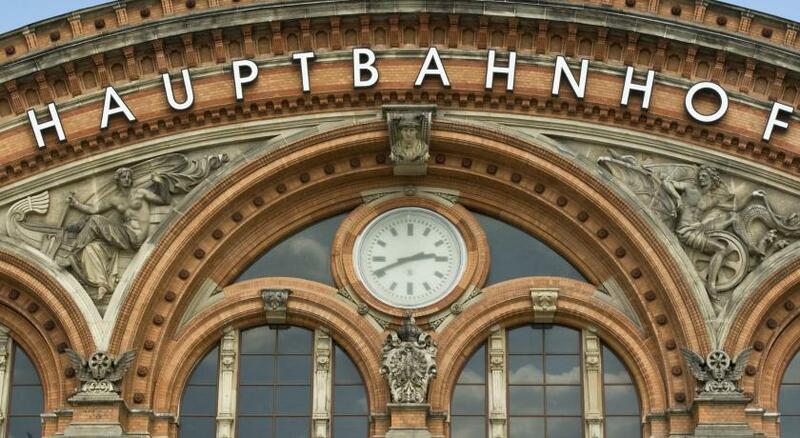 Findorff is a great choice for travelers interested in Christmas markets, food and sightseeing. 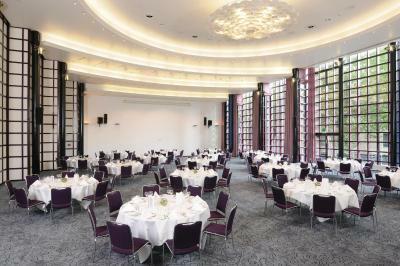 When would you like to stay at Maritim Hotel Bremen? Located between the 1st and the 3rd floors, these rooms are equipped with a tea/coffee maker and either 1 double bed or 2 single beds. These quiet and stylish double room features a separate living and sleeping areas, spacious marble bath with separate shower and toilet. Quietly located corner rooms on all floors. Other amenities include a capsule machine for preparation of coffee during your stay and a morning newspaper. Located between the 3rd and the 5th floors. Offers a 50% discount on telephone calls, a daily newspaper, tea/coffee maker and views of the park or the conference center. 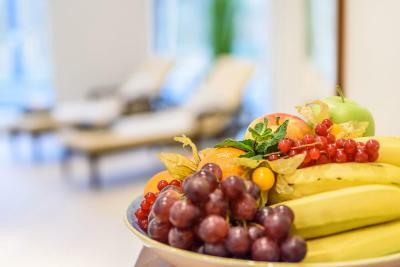 The luxuriously equipped large suites have a separate living and sleeping area, a spacious marble bathroom, a separate work area and a connecting door to a comfort room. 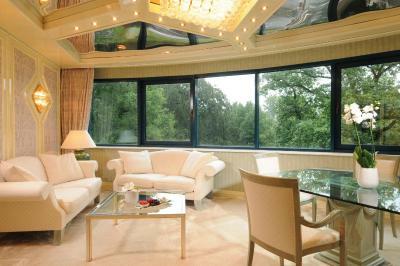 The suites also feature tea/coffee facilities and a daily newspaper. Spacious room with a private bathroom with a shower, hairdryer, a cosmetic mirror, cable TV, a safe, mini-bar and telephone. This double room has a mini-bar, a private bathroom with a shower or a bathtub, a cosmetic mirror, cable TV, a safe, air conditioning and a seating area. This spacious room features cable TV, a safe and a mini-bar. The private bathroom comes with a shower, hairdryer and cosmetic mirror. 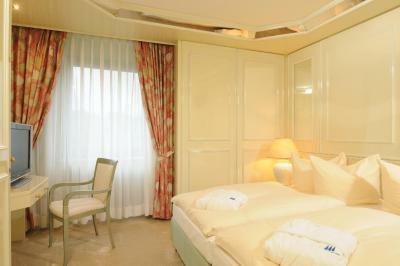 The cozy classic single room is located between the 1st and the 3rd floor. It offers lots of space and comfort. The bathroom is equipped with a bathtub and a hairdryer. WiFi is free of charge. There is also a kettle. 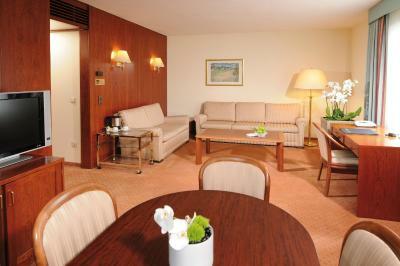 The cozy classic single room is located between the 4th and the 5th floor. 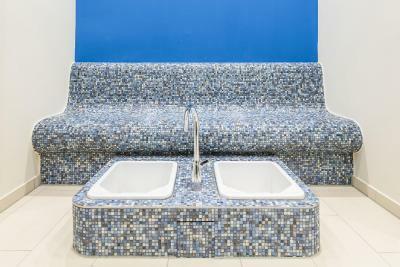 It offers lots of space and comfort. The bathroom is equipped with a bathtub and a hairdryer. WiFi is free of charge. There is also a kettle. Hotel surroundings – This neighborhood is a great choice for travelers interested in Christmas markets, food and sightseeing – Check location Great location - show map Guests loved walking around the neighborhood! 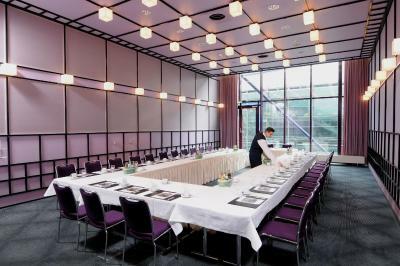 House Rules Maritim Hotel Bremen takes special requests – add in the next step! 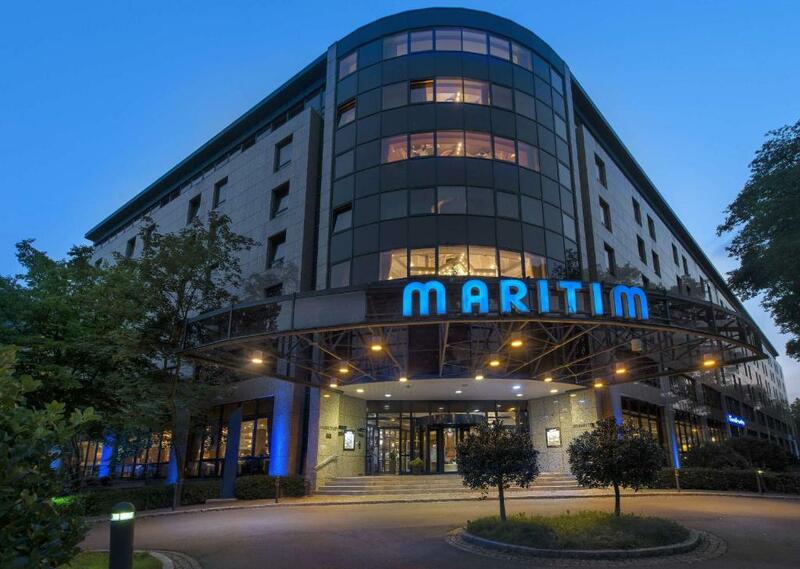 Maritim Hotel Bremen accepts these cards and reserves the right to temporarily hold an amount prior to arrival. The bed. It was not comfortable. Decor is a little dated. But clean and tidy. No water in room.They have room ready but take money for earlier check-in.In good hotels they not doing it and try give room earlier if it’s possible without any extra payment. The pillows in the bedroom are pointless, even with three they do not seem to serve any purpose. The 2 restaurants were closed. They bring starters and main plates in the Brasserie at the same time so the main was cold. The internet is for 3 connections, you cannot use other one even if you switch off one.